A while back, someone suggested to me to make a switch from traditional oils, such as vegetable, to Coconut Oil. I made the switch back in the spring when I discovered I had a very large kidney stone which needed to be removed through surgery. Switching to coconut oil was one of the switches suggested in order to alleviate a lot of the kidney problems I had been encountering. I made a lot of changes, but I can say that since that time I have not had another kidney stone. One of the amazing things about coconut oil is that you can use if for so much more than cooking and baking! You can use it for hair care and skin care as well. When I was given the opportunity to review Tropical Traditions for MamaBreak, I was excited to share my own experiences with coconut oil with you! 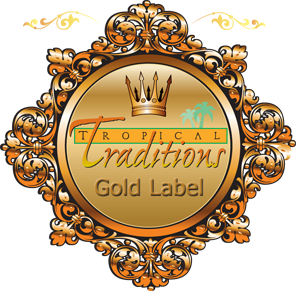 I tried out the Gold Label Virgin Coconut Oil (http://www.tropicaltraditions.com/virgin_coconut_oil.htm). I used it for general cooking and baking. It did leave a slight sweetness to my food, but the taste was not overpowering. It also did not leave my food weighed down and greasy. From the Tropical Tradition website, the Gold Label Virgin Coconut Oil is made from fresh coconuts with the highest levels of antioxidants. The coconut oil I sued previously did not taste as fresh in my food, and there was a definite difference in quality. The company also sells many coconut products. Along with Coconut Oil specifically designed for you hair, they also sell items such as Coconut Water Vinegar, organic hair oil, and moisturizing cream. I especially love the smell created when you cook with Coconut Oil. It has a very light coconut fragrance that reminds me of my time spent in Hawaii! Want to learn more about Tropical Traditions? MamaBreak received a sample of Tropical Traditions Coconut Oil. We did not receive any other type of compensation, and we were not required to post a review of the item. As always, our experiences and opinions are our own.